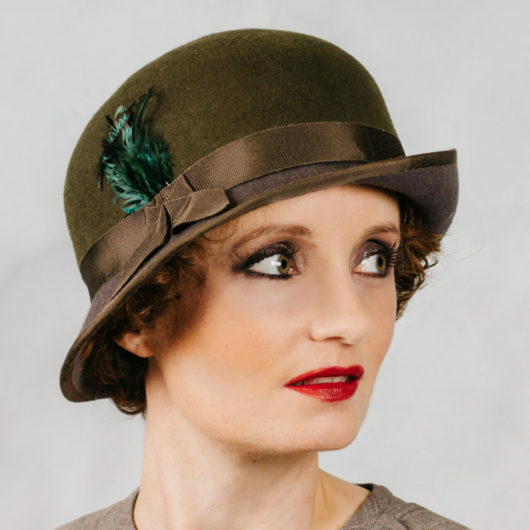 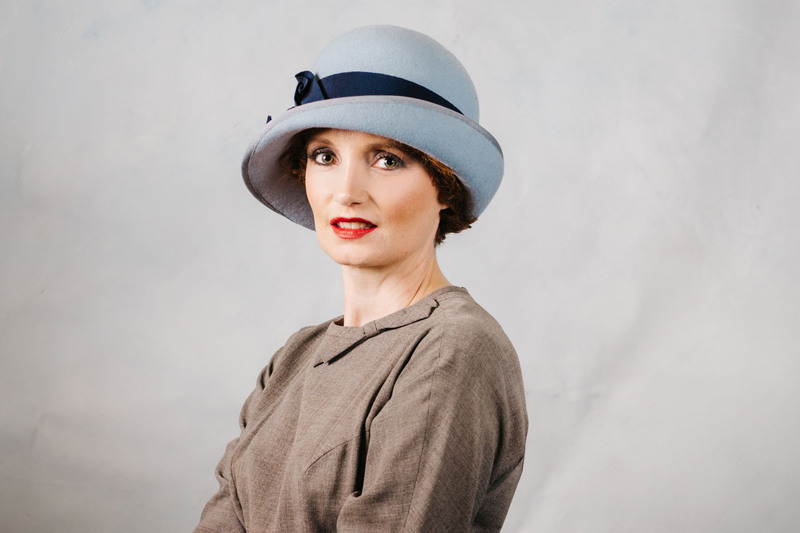 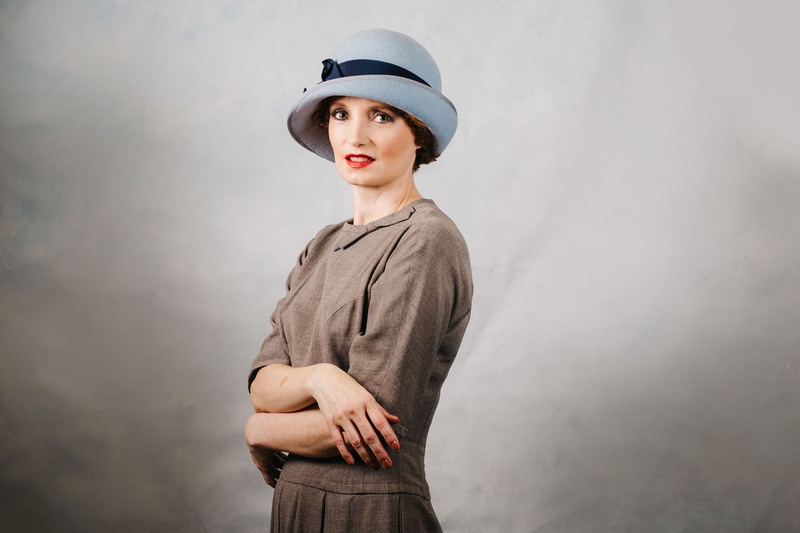 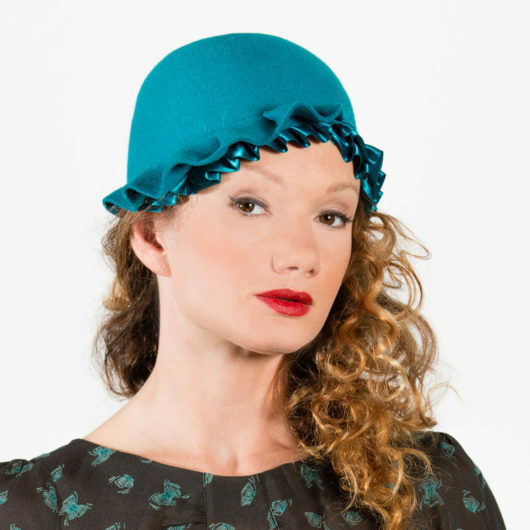 Powder Blue cloche hat with asymmetrical upturned brim and dark blue trim. 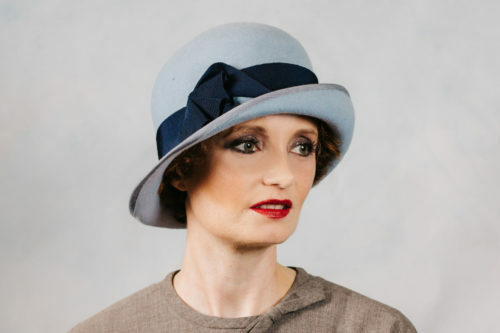 If you like the hats in Downton Abbey, this is a typical Lady Mary Hat. 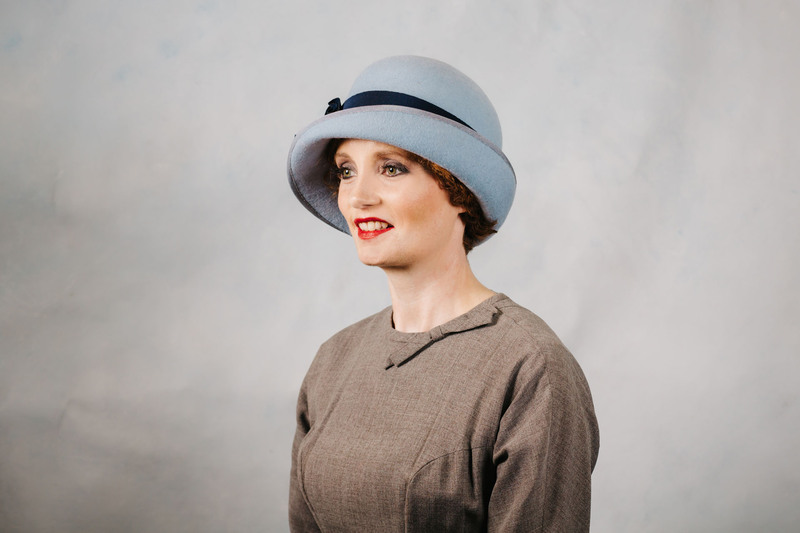 This size is medium – large and was a sample display piece. 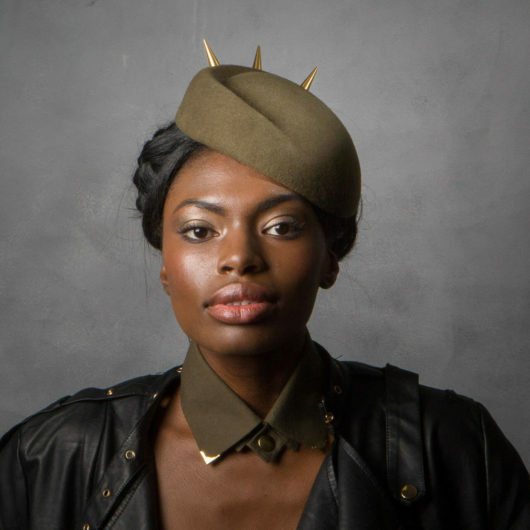 If you would like another size please contact Sahar.